The final book in the collaboration series came to me a week or so ago. 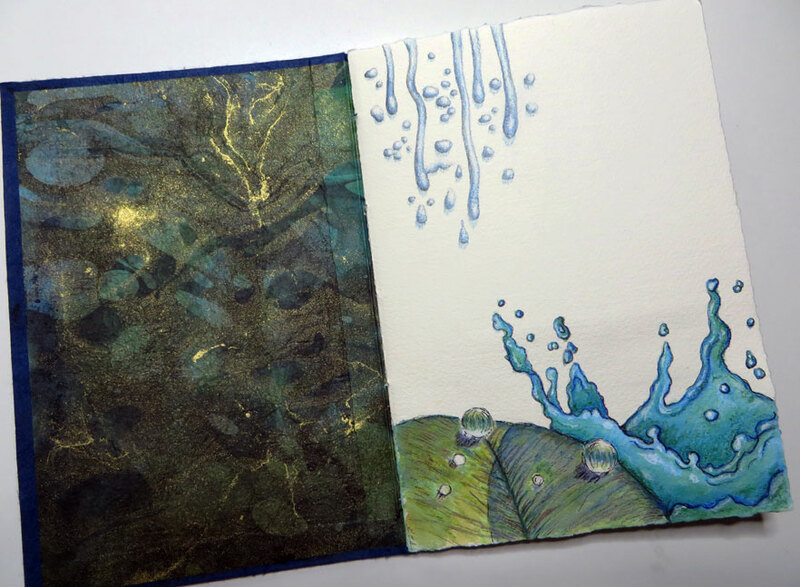 The theme is water in all its variations. A little daunting for me, it is not a subject I have ever tackled, so required a fair bit of thought before I started to make marks in Gale’s book. I am the last contributor, and the work done by the other three artists, Gale, Cathe and Karen, is wonderful, exploring the theme in their own unique ways. 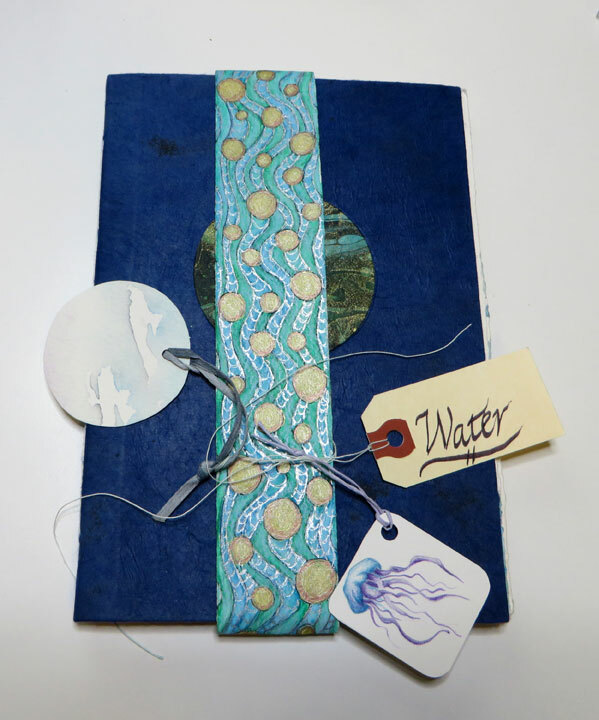 Above is the front cover, created by Gale but added to by all of us – decoration on the strap by Karen, a title tag from Gale, H2O watery tag from Cathe, and a little jellyfish from me. Posted on July 16, 2015, in Reblogs. Bookmark the permalink. 2 Comments. Very cool, Patsy! Thanks for sharing. You’re welcome, Jill! 🙂 I have always loved Anna’s work.